Christopher Folk says his unique experiences make him the ideal candidate for Seneca County District Attorney. With background in the tech space, plenty of management experience, and time spent in local courts as Waterloo Town Judge – Folk believes one of the keys to being a strong District Attorney is understanding how to grow and become better in the position. That means finding efficiencies within the office, developing better procedures, and of course, prosecuting cases. The local attorney from Waterloo was in-studio this week discussing his platform, looking ahead to a primary, which will be held on June 26th. 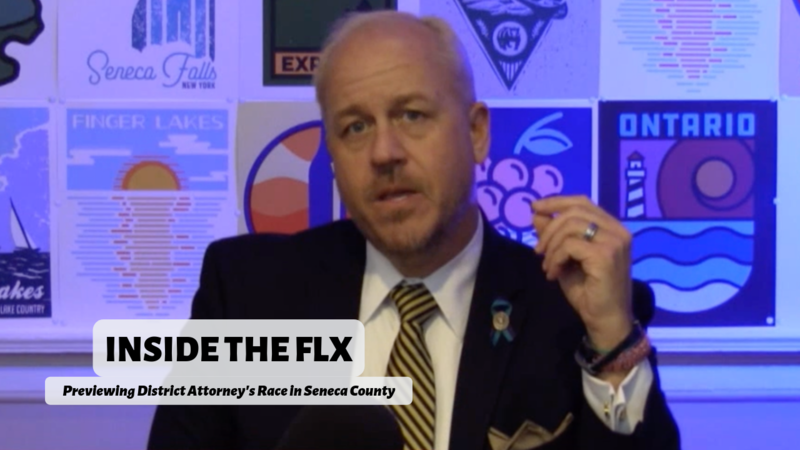 This is part of Inside the FLX’s Election Preview series. Over the next several months the FL1 News Team will be sitting down with candidates for office, discussing issues, their platforms, and what’s at stake for voters. Questions for candidates, comments about coverage, and potential guests can reach the program by emailing insidetheflx@fingerlakes1.com.